Unlike normal back braces, the Thermoskin™ Elastic Back Stabilizer features highly breathable Airmesh™ fabric keeping your back cool and comfortable for all day use. Simply position the supportive internal stays on either side of your spine. 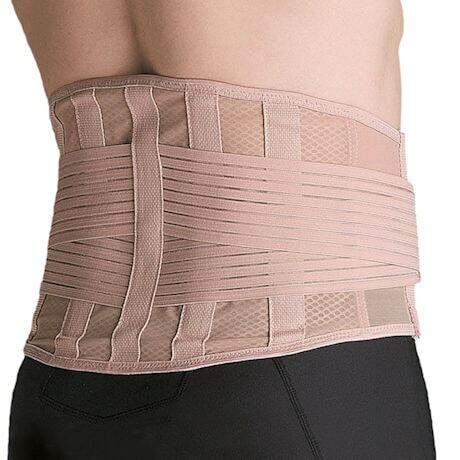 Then adjust the elastic straps for customizable compression, helping to reduce swelling while providing relief from back pain. Beige. Sizes: SM, MD, LG, XL, XXL. Imported.